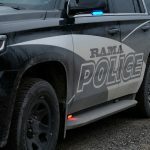 Home » A Suspect Is On The Loose In Rama! When a suspect is on the loose in Rama, the Police Services are quick to the call! 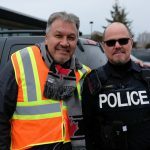 Parents are on high alert when they learn that the suspect may be in their neighbourhood, and the TPF crew was there to catch the action on film. Watch below to see how they get the suspect cornered, but will they apprehend? Don’t forget to subscribe to our channel for exclusive online content!